The new route, which originally began operating during the Holy Week holiday, will keep operating the rest of the year through the first semester of 2019 thanks to high demand. 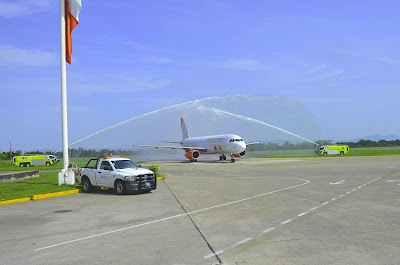 The new Viva Aerobus flight arrived at the Lic. 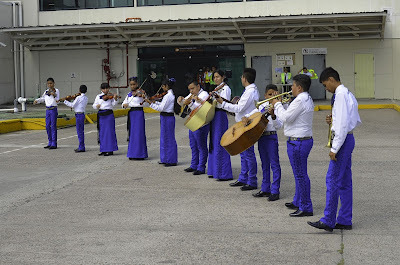 Gustavo Díaz Ordaz airport on Saturday, July 14, benefitting tourism to the Puerto Vallarta-Riviera Nayarit area and ratifying its service with two frequencies per week on Tuesdays and Saturdays; in October the flights will operate on Thursdays and Sundays. 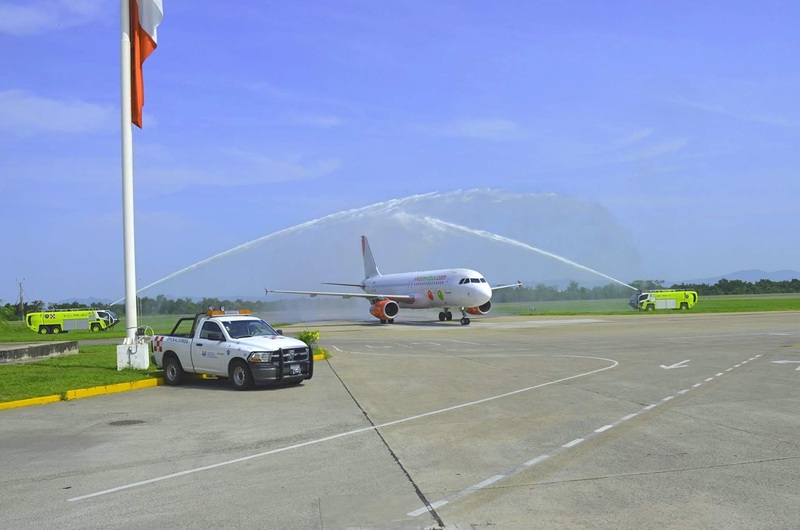 The new route originally began operating during the most recent Holy Week vacation period and, according to airline executives, thanks to high demand will continue through the second semester of 2018 and the first semester of 2019. 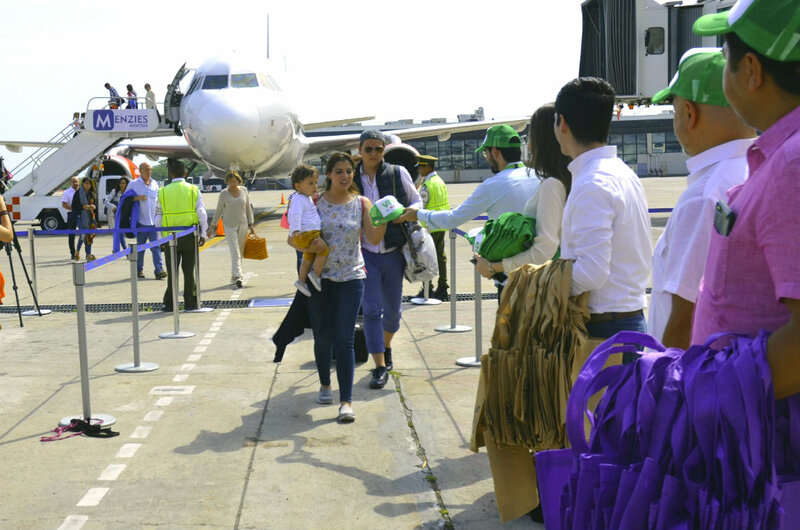 The Riviera Nayarit Convention and Visitors Bureau (CVB) and the Puerto Vallarta Tourism Trust (Fidetur) warmly received all 160 passengers and crew when they arrived on the inaugural flight. As the first group of travelers arrived they were welcomed by Los polvitos de Jalisco mariachi band, which quickly whipped up a very Mexican ambiance with classic songs from their traditional repertoire while the visitors were invited to refresh themselves with a cocktail specially prepared for the occasion by Israel Díaz, the Riviera Nayarit’s Mixology Ambassador. Following this lively welcome and the traditional “spraying” of the airplane on the landing strip, executives from the Riviera Nayarit CVB, Puerto Vallarta’s Fidetur, and Viva Aerobus gathered to cut the inaugural ribbon and declare the new route formally open. Rubén López, director of route planning for Viva Aerobus. Rubén López, director of route planning for Viva Aerobus, commented this new route makes the city of Puebla feel closer as tourists will no longer have to stop in Mexico City on their way to Puerto Vallarta-Riviera Nayarit. He also indicated the safe ambiance of the destination was a prime factor in the decision to continue the route for an additional two seasons, so expectations are high. Viva Aerobus offers connections in the interior of Mexico with new, state-of-the-art planes with 186 seats and the best rates. 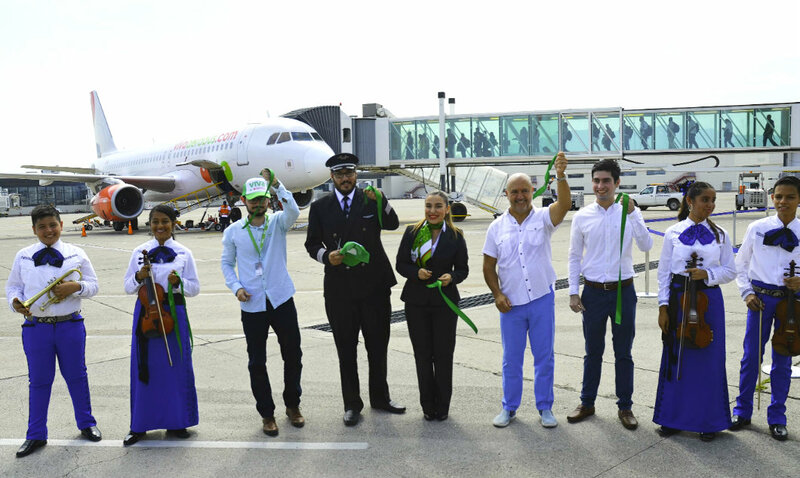 Departures from Puebla de Zaragoza begin on Saturday at 9:20 a.m. with arrival at the Lic. 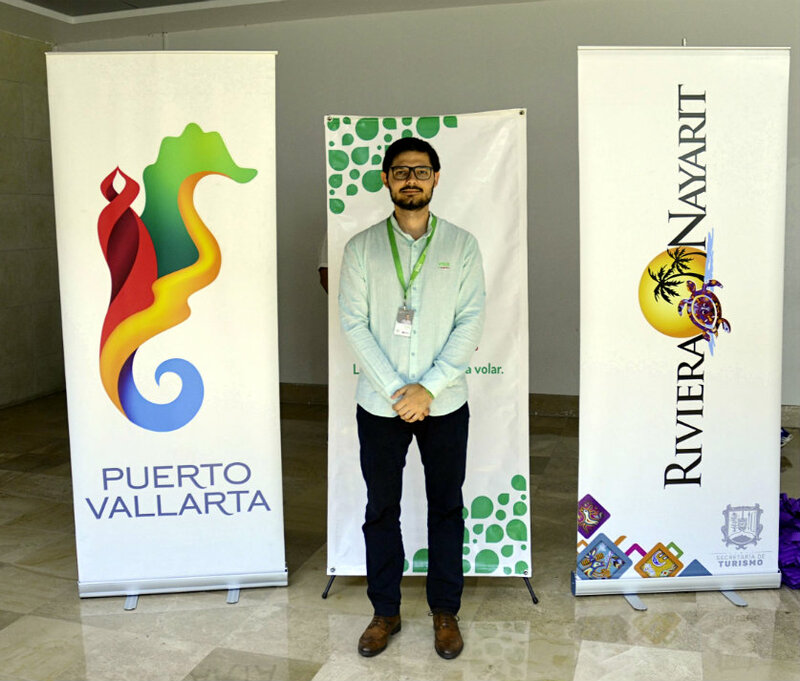 Gustavo Díaz, Ordaz international airport in Puerto Vallarta at 10:50 a.m.; on Tuesdays the flight departs at 5 p.m., arriving at 6:30 p.m. In October frequencies will move to Thursdays and Sunday. The airline offers several categories for the traveler, including the basic Viva Light for $1,016 pesos; Viva Básico, which includes 15 kg of luggage for $1,156 pesos; and the all-inclusive Viva Smart for $1,375 pesos.